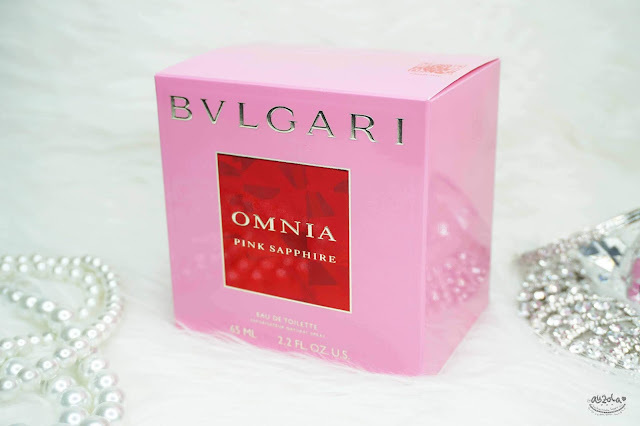 Bulgari Omnia Fragrance is not a new thing, in fact there are been several fragrances from Bulgari Omnia collection through out the years. Omnia Fragrance collection inspired by vibrant gems, nature's splendid and precious creations. 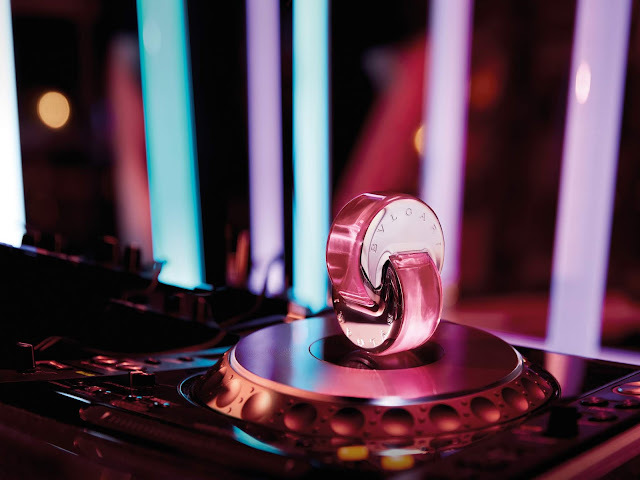 And this year they add a new jewel to the collection; the new fragrance inspired by the super sparkly Pink Sapphire. Targeted for the generation Z; Omnia Pink Sapphire is here to dare you to be yourself. It believes that magic does exist; it's those wondrous moments when your life lines up perfectly. So, you need to dare to share yourself, your voice, your art, and your talent. Created by master perfumer; Alberto Morillas -- the radiant perfume is exuberant and exotic, a breathtaking reminder to run, jump, and dive into every day. "It is the fragrance of dream and escape." "Ambitious, loving, experimental, determined, spontaneous, talkative—I live my life out loud and in color. Pink is my fave: It’s like a happy filter, brightening everything it touches. A profusion of pink kills the serious vibe. Because if I’m not having fun and trying new things and learning, what am I even doing? Life is about putting my whole pink-tinged heart into something. I can be a photographer, artist, model, writer, singer, fashion designer, game changer, and more now. I am not waiting to be discovered. I am not waiting to be hired. I connect to the world directly. The only thing stopping me at times is my own doubt. Pink is positivity. When I see the color, I smile, feel a bit bolder, and am willing to dare. Like my lucky charm, it reminds me that there are no mistakes and there is no perfection. There’s only adventure. My life is completely uncharted territory, and pink is a flare propelling me to keep imagining and inventing. The truth: I wouldn’t have it any other way, and if I could double-tap my whole bold and dreamy life, I would." 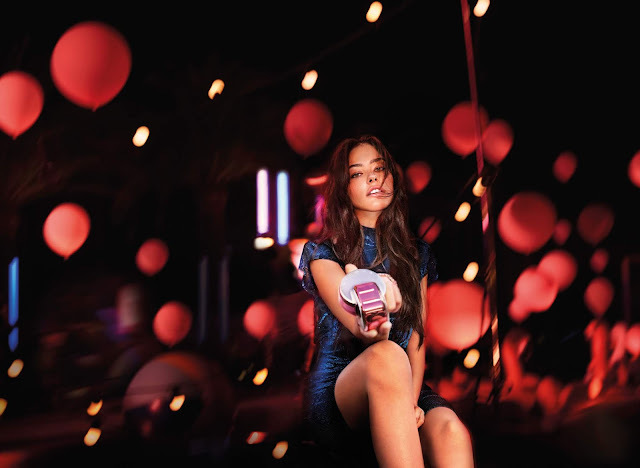 Omnia Pink Sapphire is a decree to dare, and it's three faces -- Madison Beer, Margaret Zhang and Amanda Steele -- modeled the courage to share their talents with millions of people-and potential critics-at preternaturally young ages. Amanda Steele launched a makeup vlog at 10 years old. Madison Beer proclaimed herself a singer and songwriter and nailed a jazz cover on YouTube at 13 years old. Margaret Zhang coined herself a style pro and published a fashion blog at 16 years old. 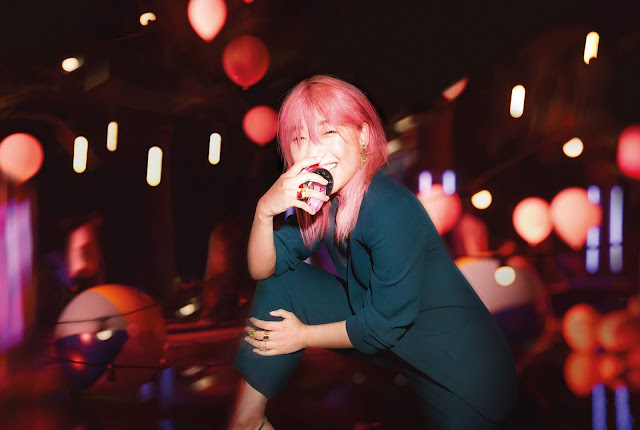 The successful trio of now young women has proven their talent, and there's no better inspiration to abandon fear and take risk than these three iconoclasts. In Omnia Pink Sapphire film, these three innovators come together to showcase the carefree spirit of risk-taking women. Creativity is like a party: fresh, high-energy, and joyful. Courage is a leap into the unknown. There's no telling where an idea-or the night-will take you if you JUST DARE. Actually the bottle is the same with other fragrances from Omnia collection, the only different is the color. This one is of course pink, because it does inspired by the pretty and sparkly Pink Sapphire gem! So adorable and I'm lovin' it since the first time I laid eyes on it. The bottle itself also inspired by gem (like of course). Formed by two rings flowing into each other, each flacon is meant to be displayed like a jewel. The shape mimics the symbol for infinity, representing the powerful feeling of abundance and the limitless feeling of freedom. Head notes: Fizzy pink pomelo and fusing pink pepper -- Fresh, Effervescent, Sparkling. Heart notes: Solar frangipani and wild tiare flower -- Exotic, Velvety, Radiant. Base notes: Vibrant wood & white musks -- Fancy, Magnificent, Enveloping. 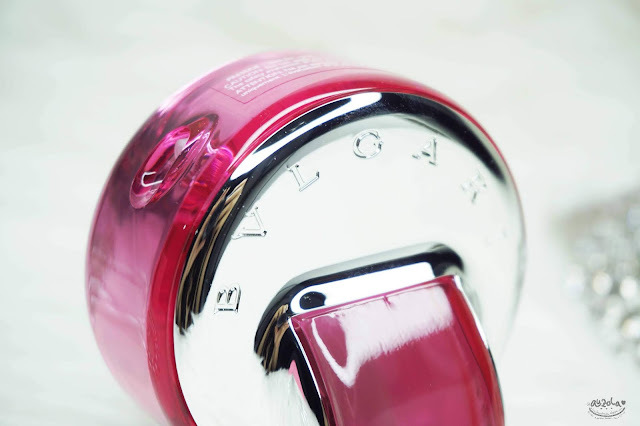 Just like the pink bottle, the fragrance is fresh and fun, with a hint of feminine side, yet still powerful and high energy. I think the smell is quite strong, but somehow still nice to use whether you're in teenage age or even older. Great to use daily, but still nice as well to be use for special occasion. I like the scent because it fits for daily use and also good for special occasion. The scent is fresh, fun, powerful, passionate and great for young age or even older age. But still, to be truth, i like Omnia Paraiba a little more than this, but i also like this one tho haha. 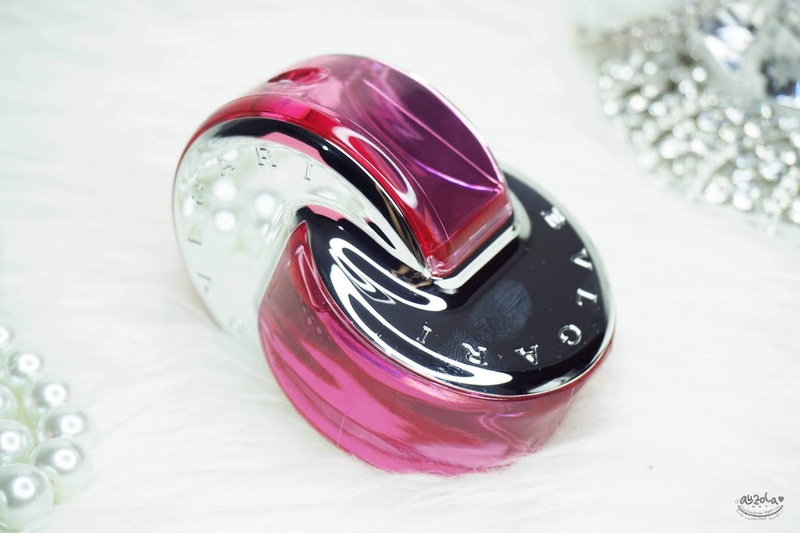 Anyway, the eau the toilette also last long that you don't need to spray too much amount. I guess that's all my review for now. If i try another fragrance i will surely share it again with you guys! So far which fragrance i've reviewed you like best? I like most of them, but my heart still settle with My Burberry Blush as my to go daily fragrance hehe. Anyway, see you guys soon!